Galapagos Marine Iguana. The only lizard at home in the sea. 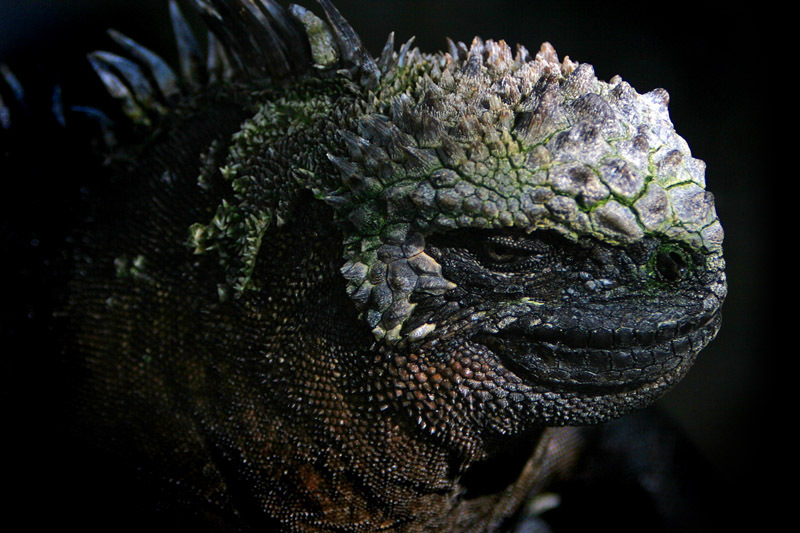 The marine iguana dicharges excess salt ingested while eating through its snout.